Wisconsin winters are long, bitter – and needless to say – colder than a witch’s you-know-what. Those of us who call the state home have learned to live with the winter season, even though not all of us love this time of year. But we also have a few tricks up our sleeves that help us get through it. One of them is a drink or two (this is Wisconsin after all). If you’re ready to try something classically Wisconsin, or something other than the same old pint of domestic beer – we found some great choices. Plus, we’ll let you know where to get them, and how to make them yourself. It’s a Wisconsin favorite – and many people are shocked when they leave the state only to discover most bartenders have never even heard of a Brandy Old Fashioned. That’s because it is quite unique to Wisconsin. In fact – we end up educating bartenders across the country about them. Watch the video below to hear a hilarious story about such an experience from mixologist Jeffrey Morgenthaler. Thankfully – around here we have our own Wisconsin mixologists who are experts at mixing the Brandy Old Fashioned. 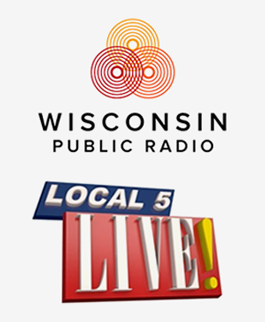 That includes Tony Oczus, owner of The Libertine in Green Bay. This craft cocktail bar exploded on the scene in 2012 and has generated plenty of much-deserved buzz. Oczus says customers who come in looking for a Wisconsin-style Old Fashioned won’t be disappointed. Oczus adds that an astonishing amount of Korbel brandy gets sent to Wisconsin – typically more than 40% per year. The Libertine also offers the kind of Old Fashioneds most others are familiar with. “We also do a classic, or what we call a “proper” Old Fashioned with a few ounces of good bourbon, simple syrup, angostura, and orange zest. We serve it on a big sphere of ice, so not to overly dilute the cocktail,” Oczus says. The Tom and Jerry is considered a holiday cocktail. It’s an almost-forgotten mixed drink that remains popular here in Wisconsin. You’ll have a hard time finding bars that serve them outside of the Upper Midwest. 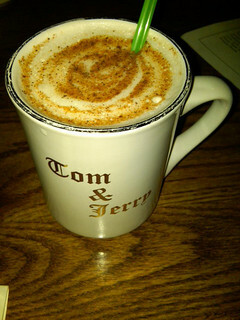 The Tom and Jerry is a hot drink typically made with eggnog (or beaten egg white with the yolk added later), rum and brandy. By the way – this cocktail is not named after the cartoon cat and mouse – and contrary to popular belief – it’s not named after legendary bartender Professor Jerry Thomas either. The Tom and Jerry was actually created in 1821 to help promote a play called Tom and Jerry, or Life in London. This sweet drink will definitely impress guests at your holiday get-togethers. Don’t forget to sprinkle a little nutmeg on top to finish it off. Around Christmastime – you may also be able to find pre-made Tom and Jerry mix in the grocery store. Hot toddies are basically any hot drink that mixes liquor like whiskey or brandy with hot water, sugar/honey and some spices. 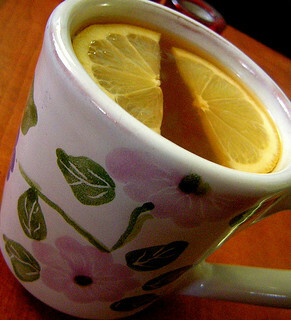 Your classic Wisconsin grandma may even recommend a hot toddy to help you get over a nasty cold. Honey can help soothe and the booze will help you get some sleep. Just remember that drinking alcohol when you’re sick can also dehydrate you. Of course, the Hot Toddy doesn’t have to be for “medicinal purposes” only. They can also be enjoyed for fun. Tony Oczus has one on the newest menu for The Libertine in Green Bay. “On this menu we are introducing deconstructed cocktails such as a deconstructed Brandy Toddy as well as smoking simple syrups to add flavor, whiskey reductions (for low alcohol cocktails), house made tinctures, and taking on more house made ingredients such as ginger beer and root beer syrup,” he says. Yet another drink to warm up your insides is the Irish Coffee. It’ll also perk you up with the right coffee. Sometimes simple cocktails are the best. 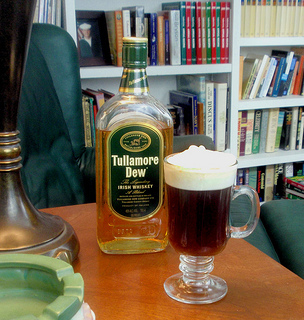 An Irish Coffee is simply Irish whiskey mixed with coffee and brown sugar. Then it’s topped with heavy cream, which floats on top. Want an authentic Irish Coffee? We highly recommend McGuinness Irish Pub in Appleton. The bar and restaurant is owned by an Irish family and has a warm and comfortable atmosphere that’s perfect for the winter season. McGuinness Irish Pub has 85 different whiskeys to choose from. Plus, you can also order other classic cocktails with a taste of Ireland. That includes the Wild Irish Rose and the Nutty Irishman. If you’re in Green Bay, Cafe Espresso next to the Meyer Theatre downtown is another great place to order an Irish Coffee. Most of the cocktails we’ve mentioned so far have been around for longer than a century. This mixed drink is new to the scene. But it has some nice Wisconsin twists! Korbel Brandy is in there too – making this fruity Wisconsin cocktail one to remember. It’s even suggested that this mixed drink be served with a New Glarus Spotted Cow for a beer chaser. Bentley’s invention is quickly becoming a “new legend” and is even getting talked about across the pond in the U.K. Check out this article from The Telegraph. 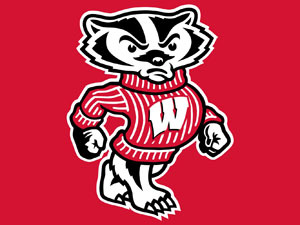 One good place to order a Wisconsin Badger might be Cleo’s Brown Beam in Appleton. The popular bar has a reputation for making great, affordably-priced cocktails. Plus, it’s decked out in Christmas lights and decorations all year long. If you’re not really a cocktail drinker – there is still plenty to choose from as far as beer and wine. Oczus recommends trying a good port and Barley wine, which is now in season. A local favorite for dark beer lovers is Dark Helmet Schwartzbier from Titletown Brewery. Titletown also has a new one called Bridge Out Stout – which pokes fun at the recent problems with the Leo Frigo bridge in Green Bay. What Do You Drink During the Winter? Did we forget your favorite winter cocktail? Leave a comment and let us know what you like best. Do you spike your apple cider or hot cocoa? Got any funny stories about ordering Brandy Old Fashioneds outside of Wisconsin? Tell us about it! 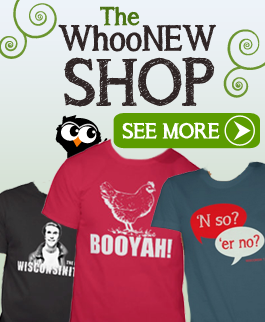 Don’t forget to LIKE WHOONEW on Facebook for more Wisconsin fun! 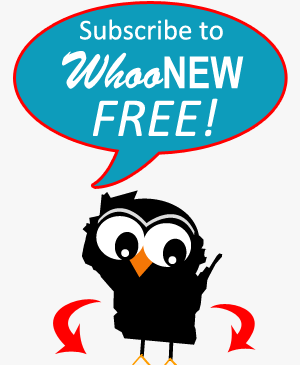 You can also subscribe by email just below – and you’ll never miss a story. Like KLEM Stuidos on Facebook for more! I grew up with brandy manhattens…. Still my favorite winter drink! My in-laws introduced me to the Tom and Jerry. A delicious way to warm up after being outside on a cold winter day! And yes…the nutmeg on top is essential. 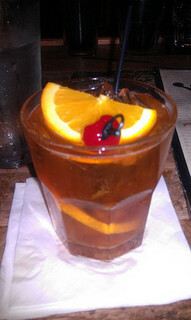 I drink Southern Comfort Old Fashioneds because that is how my mother drank hers. I grew up in Milwaukee. You are spot on! I have been bartending since 1971 and learn how to make my own old fashion mix either a gallon or 5 gallons at a time from working at the West Bend Moose Lodge.and people love it.